Asia’s largest automobile manufacturer, Hyundai, is one of the world’s fastest growing car brand with a well-deserved reputation for producing safe, dependable, and fuel-efficient vehicles. Their innovative use of cutting edge technology has placed Hyundai at the forefront of modern car making trends. 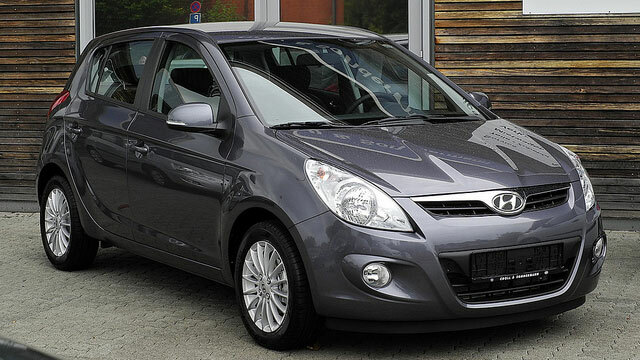 The combination of reliability and fuel efficiency has made Hyundai vehicles increasingly popular in American markets. At Dempster’s Quality Car Care, we understand that you rely on your Hyundai, and we are dedicated to helping you keep it in top condition. Whether your Hyundai needs routine maintenance or major repairs, our technicians are experts in all models from the Sonata to the Genesis and the Elantra to the Veloster. Quality vehicles demand quality service in order to keep working well, so don’t settle for anything less than the best service of Hyundai vehicles in the Hatboro, PA area. We don’t just focus on the job under the hood, from the moment you enter our door until you drive away completely satisfied, we strive to offer an unparalleled customer experience. Our certified technicians are happy to answer any of your questions. Put our service to the test and give your Hyundai the service it deserves—If you have questions regarding your vehicle, or if you would like to make an appointment, give us a call on (215) 441-8002 or visit us at 16 E. Montgomery Ave, Hatboro, PA, 19040 to speak to our friendly staff about any concerns or questions you may have. We will be more than happy to help you schedule an appointment!